← #SixSunday — Happy Mother’s Day! 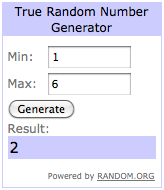 Winner of ARC giveaway of Tidal Whispers! Congratulations to Becky Doughty!! who was lucky commenter #2 as selected by random.org. Becky, I’ve sent you an email requesting a minor bit of information. Once I hear back, I’ll forward your information on to J Taylor for fulfillment purposes. Thanks to everyone who commented for a chance to win. Woo-hoo! I gave you 5 stars, I twittered to the world that I’m a winner, I liked the post, and I’m commenting! I’m exhausted! Thank you for choosing me – I love to be the chosen one. It’s my favorite thing… unless it has something to do with guillotines or splinters. Ugh.